Slovakia had an agenda, but BREXIT has turned everything upside down. A commentary by wiiw economist Doris Hanzl-Weiss. For the first time since joining the EU in 2004, Slovakia takes over the presidency of the Council of the European Union on 1 July 2016. The referendum in the United Kingdom (UK) to leave the EU on 23 June has turned everything upside down and nothing will be as it was. Uncertainty for what comes prevails everywhere, politically, economically, for Britain and the EU, for individual countries and for individual persons. At the moment there is chaos and no one can say what is going to happen. Historic challenges are ahead, which will need a great deal of flexibility, sobriety, as well as diplomatic and political skills. 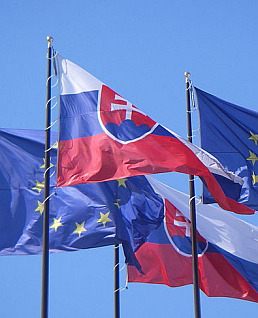 Before the referendum, the preliminary main priorities of the Slovak presidency had been based on the EU’s strategic programme, adopted at a summit in June 2014 for a period of five years. Slovakia planned to focus on the following four points: an economically strong Europe, benefits of the Single Market, migration policy, and Europe as a global player. However, BREXIT will now lead the agenda and the official programme will be announced only at the end of June. It will be a huge challenge to include these new issues into the agenda: On the one hand, there will be the question of how to handle the political negotiations related to the exit of the UK; on the other hand, discussion should be started on how to strengthen and reform the EU in response to a very visible discontent of large parts of the public in many European countries. Top EU officials and leaders of member countries are leading the discussion for the moment. The Slovak presidency will have to find its proper place in a process that has no precedents. Economic growth and budgetary issues, including finalisation of the annual EU budget for 2017 as well as the mid-term review of the financial framework for 2014-2020. Digital Single Market, in particular developing, and removing barriers to, the digital single market (e.g. geo-blocking). Energy Union, with a focus on energy security. Migration policy, focusing on external factors and on making EU borders more secure. EU as a global player: further pursuing the Eastern Partnership initiative and supporting the Western Balkan countries in their efforts to ultimately join the EU; continuing the discussions on the Transatlantic Trade and Investment Partnership (TTIP) and finalisation of the free trade agreement with Canada (CETA). Slovakia has benefited strongly from joining the EU in 2004, attracting foreign investment which spurred high growth. GDP per capital (in PPPs) jumped from 59% of the EU-28 in 2005 to 78% in 2015, overtaking Hungary’s (with 69%) and coming close to that of the Czech Republic (87%). The introduction of the euro in 2009 coincided with the global financial crisis but helped to overcome the effects swiftly. Growth prospects for the years to come are good, at about 3%. The Slovak population is in favour of the EU (about 62% would vote for a stay); the Slovak government though, led by Robert Fico, sometimes took a controversial view (migration, Russia). While the parliamentary elections in Slovakia on 5 March 2016 brought about unexpected results, the fast creation of a four-party coalition government has now assured a stable environment – at least within the country. It is to be seen how Slovakia will manage its presidency during these turbulent times and what role it is going to take.